Many business owners contemplate the benefits of SaaS vs. On-Premise systems because they want to find the best way to store and manage their company and customer information. Because data security is such an important aspect of business, it’s important to find which version works best for your business. An on-premise system was originally provided by companies that licensed enterprise software and then wanted to offer a hardware version that could be monitored and controlled by the company in a physical location. SaaS (Software-as-a-Service) is the latest version used to store data and information digitally in places like the cloud and it’s managed remotely by one or multiple providers for an annual fee. 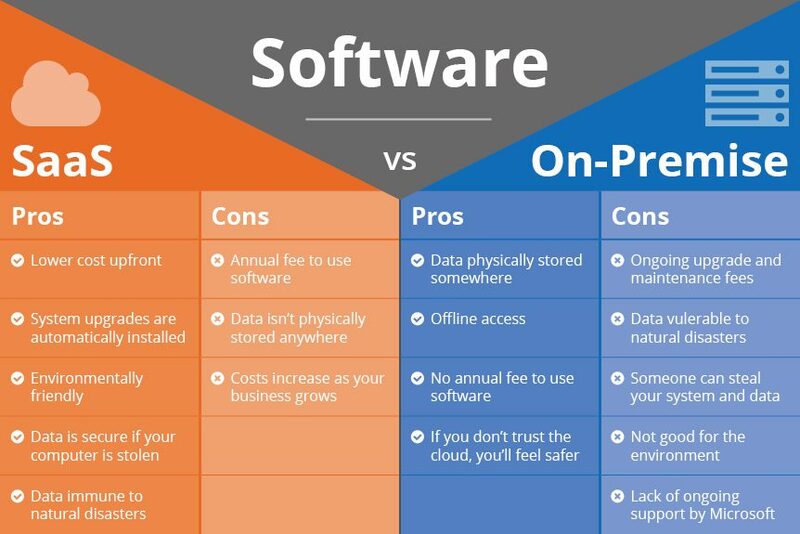 Now that you know what SaaS and on-premise systems are, we will breakdown the pros and cons of each to help you decipher which would be the best solution for your business. It’s clear that in the debate between SaaS vs. On-Premise, SaaS is the safer choice. ServiceCore is a fully integrated software solution that keeps your data safe. We also integrate with QuickBooks, allowing your data to transfer seamlessly into our system. If you’re ready to upgrade to a safer system, book a live demo of ServiceCore or contact us today at 844-336-0611.